It’s a bold statement. I’ll explain why in just a minute. Remember yesterday we were talking about prices and transparent pricing and so on, but when it actually comes down to it the customers or potential customers don’t know as much about your pricing as you think they do. I would be surprised if one out of five guesses correctly unless of course you’ve just obviously don’t phone someone that you’ve just sent an invoice to on that day because that would be cheating, and they win. Just a simple question, no price, no serving, no nothing, that’s it. But I, honestly, I’ve done it before and people don’t know what you really charge. I remember, in the old days, I asked my ex-wife, but she had no clue. She just had to guess and she was way off. Whenever I’ve asked anybody, they haven’t got the faintest idea. Now what that tells me is that they’re buying something from me that they value in other ways. Obviously the price has to be significant but that is not the driving reason. They know what I do and they want it. However, the price wasn’t it. Now for that reason, you are not charging enough. The reason I say that is nobody is charging enough. No one is charging to their true worth. So on the pricing front in all the studies, you can Google this to your heart’s content but when you put up prices, two things happen. Let me remind you that there are many many people who do what you do and only one of them is the cheapest and only one other of them is the most expensive, right? That’s two, and that’s everyone else in between at all levels and they all have customers. I charge them $50 an hour. I can’t suddenly charge them $60 an hour or $70.” You don’t have to. You charge everyone else that. So, with the newer ones, sorry, with the newer ones they won’t know and they will pay for the value that you offer because you’re not selling on the price, you’re selling on value, on your service, on the wow, on the extra that you give on your expertise, your authority, your brilliance, your customer service, everything. That’s why you’ve got customers now. 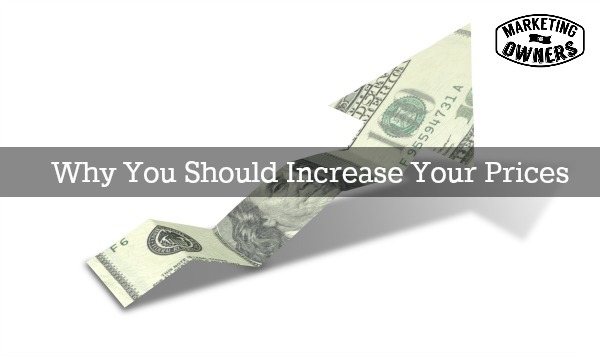 If you charge extra, you will make more profits for the same amount of work. Or if you lost one customer, you will make more profits for less work because if you charge enough you can afford to lose a customer. Would you not like to have half as many customers do half as much work but make the same amount of profit? If you want to do that, double your price. Now I know that sounds ridiculous. But, the number of people who’ve done it is astonishing. It is the scariest thing ever. In my main business, Fire Protection Online, we sell fire extinguishers, intumescent safety products, safety signs, fire safety gear online, we have a commodity product. Fire extinguishers are red and shiny and they have certain approvals. Our competitors sell very similar things. To the outside the rest of them look identical– you can’t tell them apart. Some even sell them from the same supplier. However, we have lots of things we do. We have bigger stocks than anyone, we give 60-days money back guarantee, we pay the return and none of this 28-days, put it back in your account. All of it, 100% on the spot. In fact in some, we refund it before we even got it back. No quibbles, and by the way, don’t tell anyone, if you came back to us after 120 days or a year, we’d still honor that 60-day guarantee. Yes, and we’ve done that but we don;t make that public. But we go above and beyond, and only the rest of us know that and so every single year we have a price rise. The reason for that is because some of our suppliers will have price rises but our staff want their wages to go up at least in line with inflation and we wish to make better profits so we can re-invest, build a bigger business, pay the staff better wages and do more marketing to build the business. We can only do that by putting the prices up. If you keep them the same, because of the inflation you are effectively decreasing them every year. So if you put your prices up just for 2% or 3% of inflation, you will just stay the same. Put them up, we test it, we watch the analytics didn’t make any difference and some of our prices went up 10%. No difference in sales, exactly the same. Go on, try it. And you can buy me a cup of coffee with the extra profits or just a thank you by e-mail will be great. 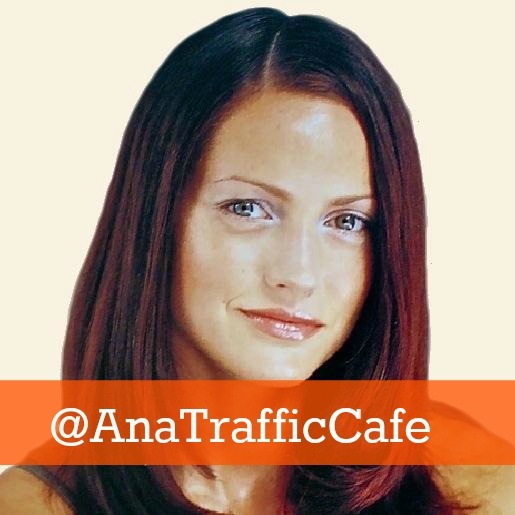 Today, I want to recommend somebody for a friendly follow for Twitter — Ana Hoffman of Traffic Generation Cafe. Ana is one of my favorite bloggers. And the reason for that, she is from eastern Europe. She has built a fantastic business. It’s a great blog. It has great examples and information. She tries things, she then does it and then she talks about it, but she writes well, she’s humorous, and her English is immaculate. Her twitter handle is @AnaTrafficCafe. Go and have a look at what Ana does. She is excellent. She knows how to build traffic to a blog. It’s worth looking at. What prices do you need to increase?